Back in the day when the telephone was a fairly new technology, it was not uncommon for towns and cities to be engulfed in a wild mess of telephone lines. 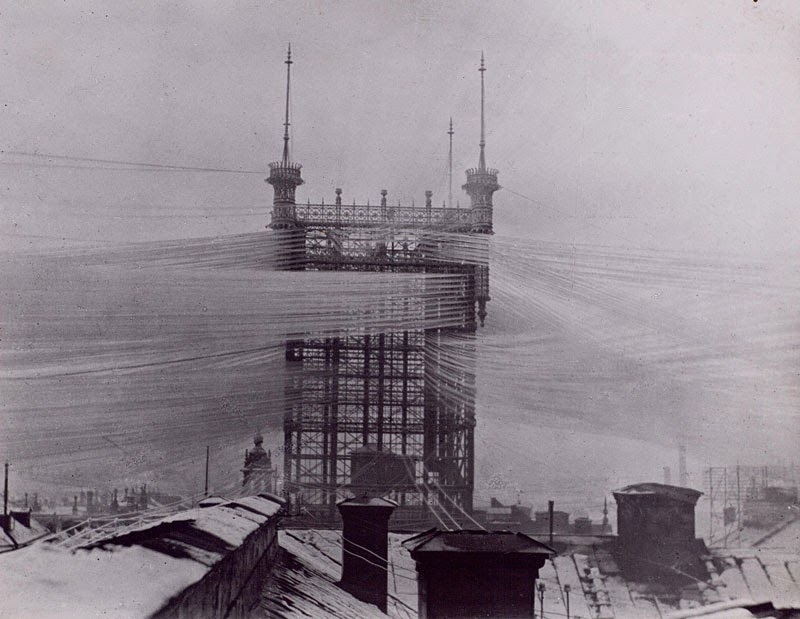 At the time, mankind had not yet learned that it was more efficient to bury telephone lines, resulting hundreds or thousands of lines stretching across a city. 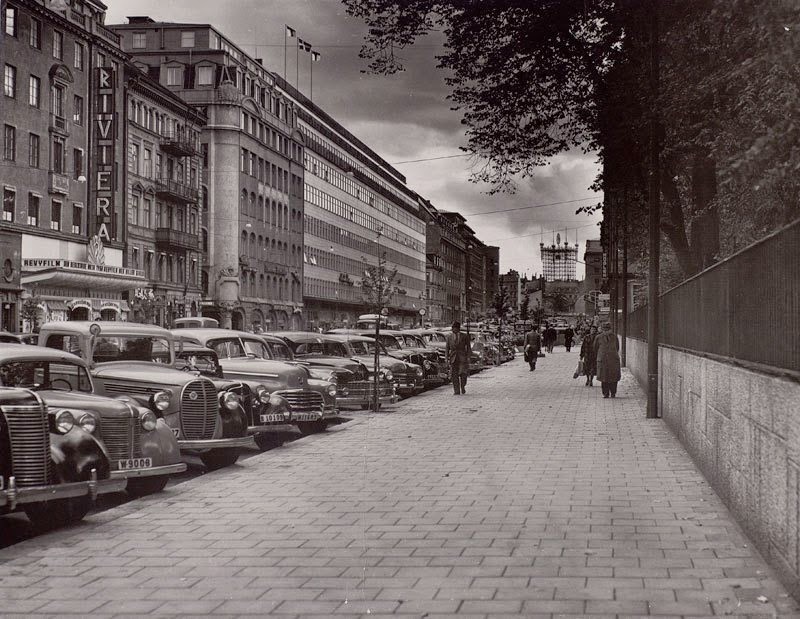 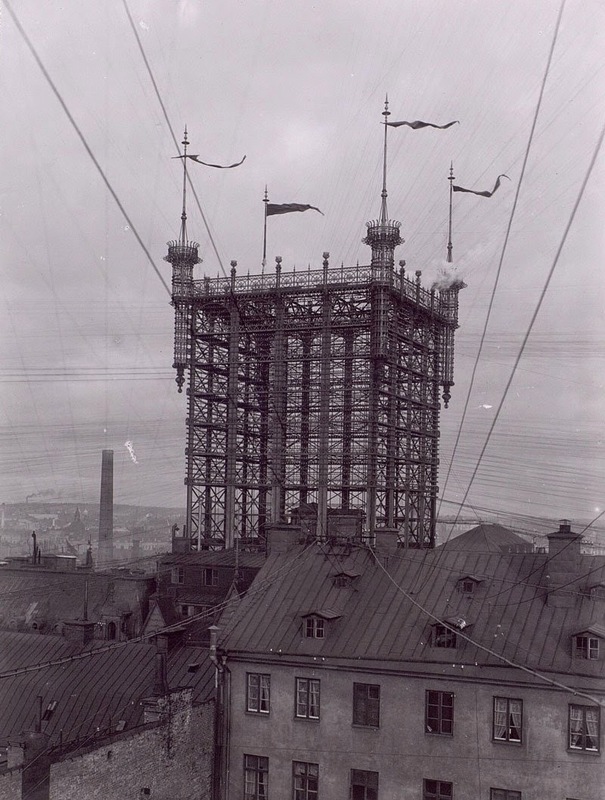 This practice led to an incredible feat of engineering called the Old Stockholm Telephone tower in Stockholm, Sweden. 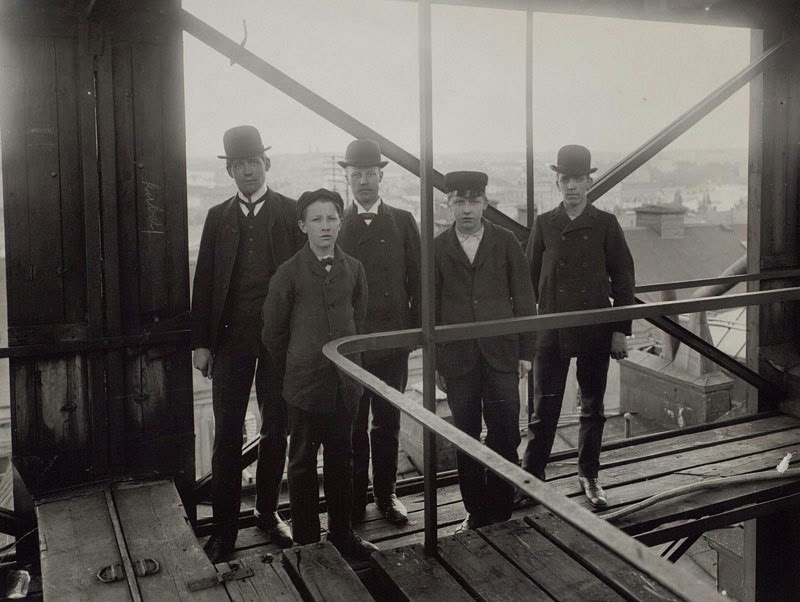 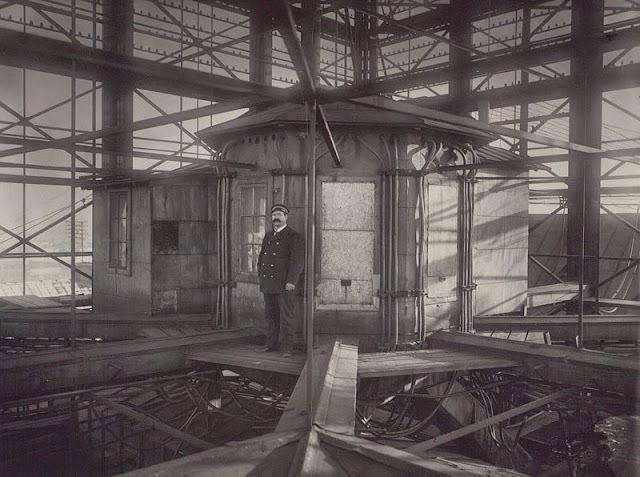 Constructed in 1887, this 240 foot tall tower was the central hub of 5,500 telephone lines which snaked across Stockholm. The building dominated the city skyline, and the mass of lines leading to and from the tower made a very surreal and bizarre spectacle indeed. 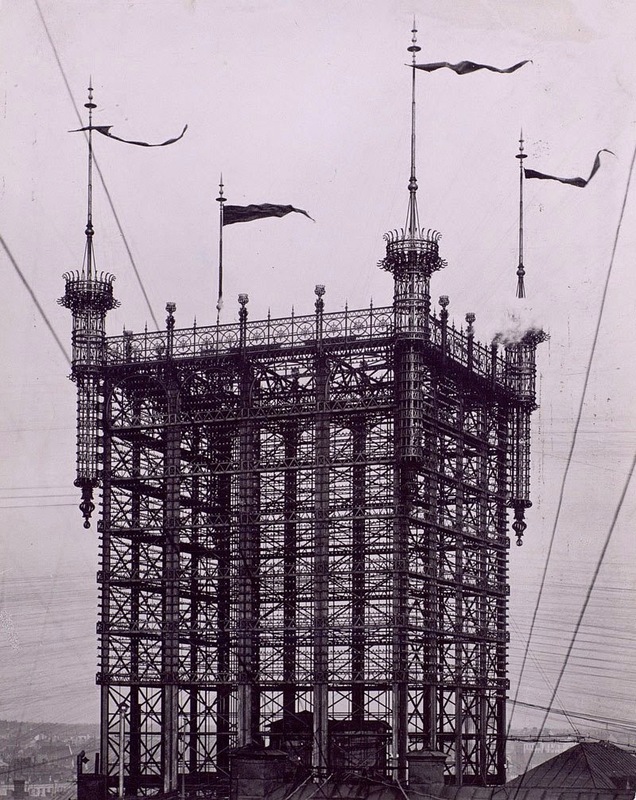 Around the turn of the century towns and cities began burying their telephone lines. 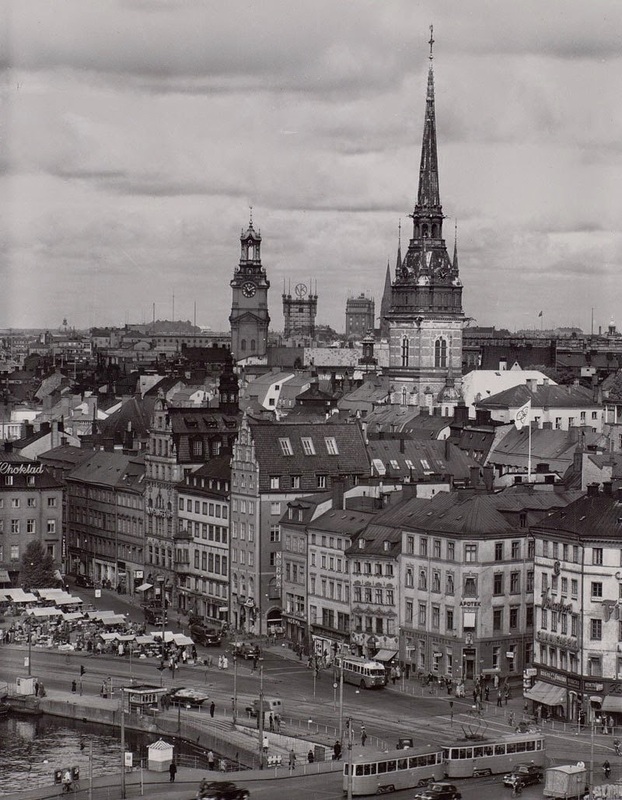 Stockholm did the same, and by 1913 the tower was made obsolete. From 1939 on it was used as an advertising board for the phone company. 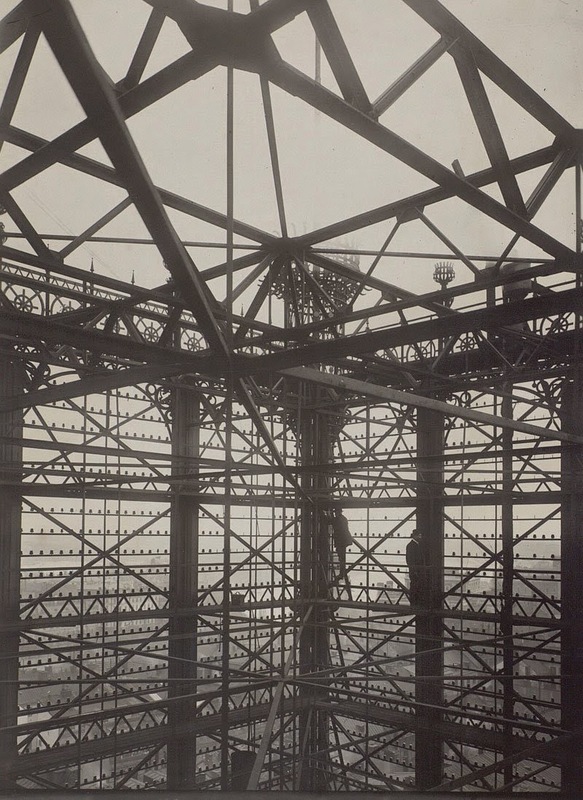 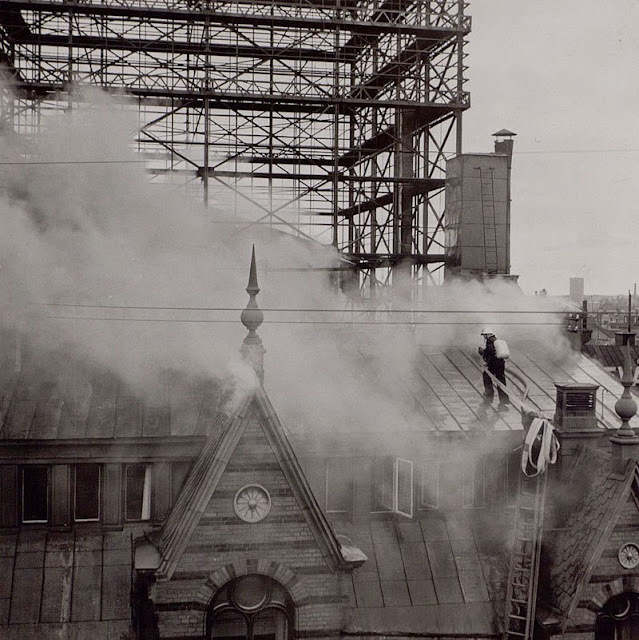 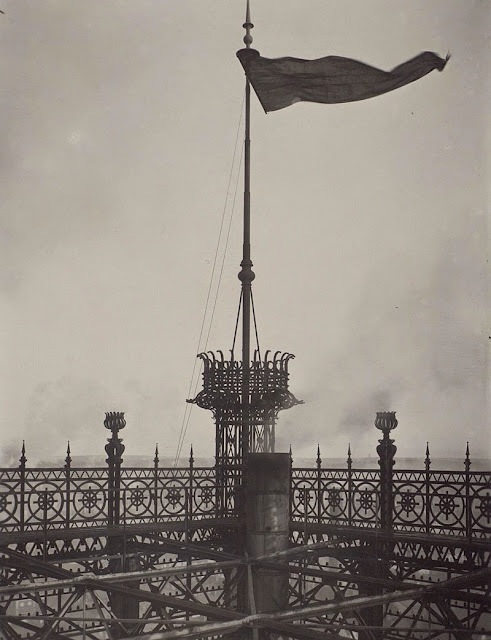 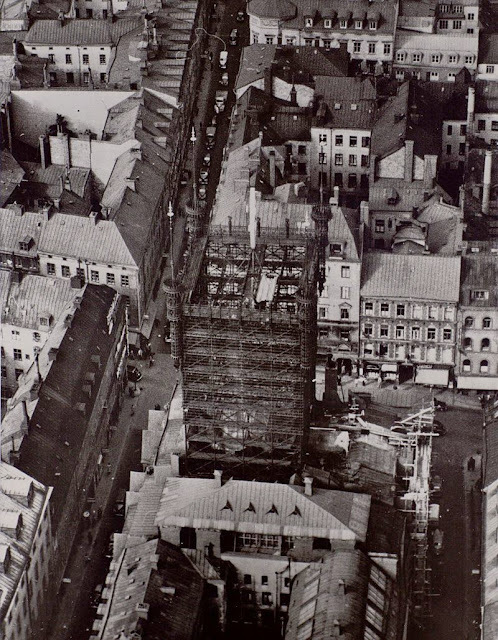 It was finally demolished in 1958 after being weakened by a fire.